Often spotted in a crisp suit and tie, Tim Hershberger pays homage to his hometown of Goshen, Indiana with the green bowtie he superstitiously wears on every Saturday service to ensure a Fighting Irish win. But Tim is not just a fan of his home team, he’s a fan of his craft. A fan of a beautiful plate, of a complex cocktail, of the electricity in a top-notch service when the timing is perfect and the guests radiate with a warm glow that can only really be achieved by a good meal. At his core, Tim is a fan of the industry, and the industry has, in turn, been a fan of his since he began working at age 14. Excelling at every position from dishwasher to line cook to server to bartender, Tim credits Denver as the place that opened up his world and led him to his home at Mizuna where he began as Bar Manager in 2016. 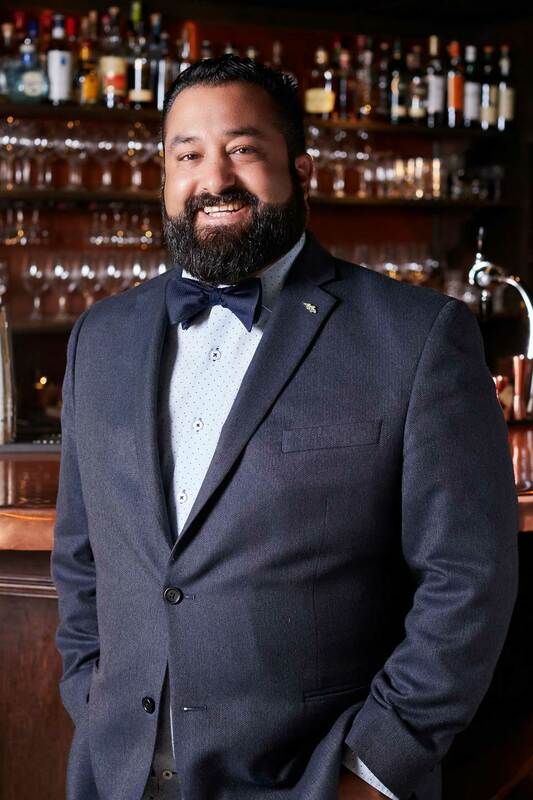 Holding second level sommelier certifications with The Court of Master Sommeliers of America and the Wine and Spirits Educational Trust, London, Tim has a palate both mesmerizing and enviable, yet he never appears intimidating. Instead, he shares his knowledge with such infectious enthusiasm that staff and guests alike feel they’ve been let in on a little secret. As the current General Manager, Tim glides around the dining room effortlessly. He is somehow simultaneously wiping plates at the pass, guiding guests through the wine list and greeting people at the door like old friends (by now, many are). A Rumi quote proclaims that “Everyone has been made for some particular work, and the desire for that work has been put in every heart." Those who know Tim, or have been lucky enough to experience his unparalleled talents in service, would be remiss to argue that theory.